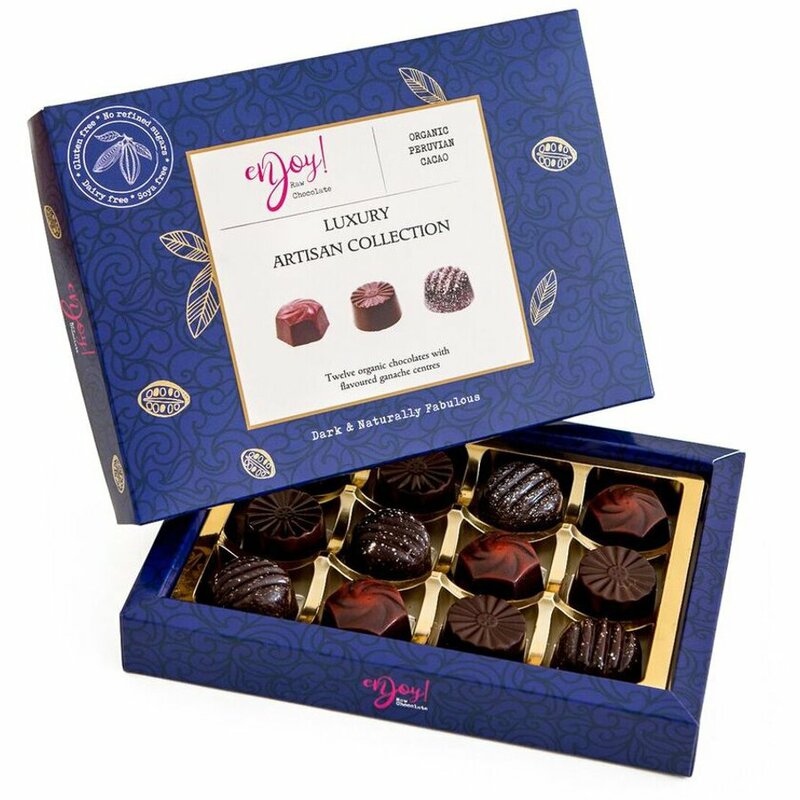 A box of twelve luxury raw chocolates made with premium quality organic ingredients. With three flavours to choose from, these artisan vegan chocolates are a great gift for anyone with foot intolerances as these are dairy, gluten and soya free. These delicious chocolates are made in the UK by Enjoy! Raw Chocolate with cacao powder and cacao butter sourced from Peru along with coconut blossom sugar and creamed coconut from Indonesia and the Philippines. These ingredients are certified organic by the Soil Association, and the chocolate are all suitable for vegans and coeliacs. With no refined sugars, these raw chocolates have a great taste without making you feel too guilty. Free from dairy, gluten, wheat, soya, palm oil, refined sugar, GM ingredients, artificial colours, artificial flavours and artificial preservatives. There are currently no questions to display about Enjoy Raw Chocolate Vegan Artisan Collection - Box of 12.